Speaking to interns and minority staffers, the secretary of state called 'racism' evil. 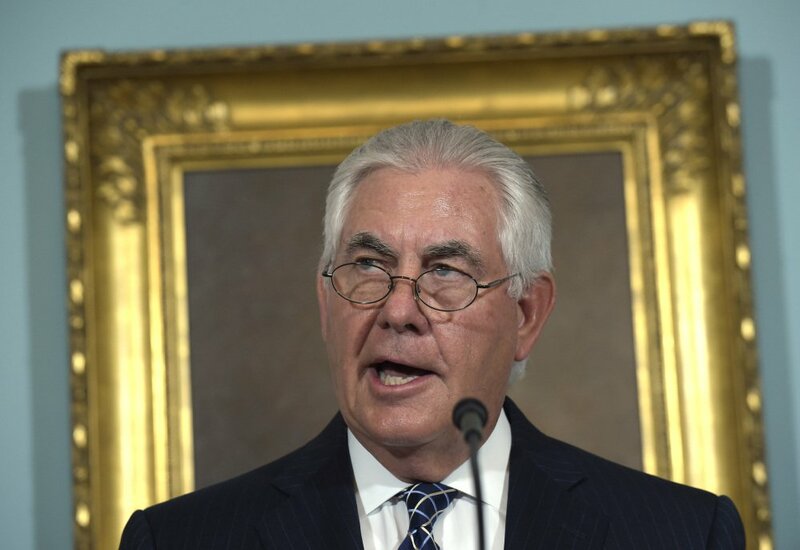 WASHINGTON – Secretary of State Rex Tillerson is condemning hate speech and bigotry as un-American and antithetical to the values the U.S. was founded on and promotes abroad. In his most extensive comments on race and diversity since last weekend’s violence in Charlottesville, Virginia, Tillerson on Friday called racism “evil.” He said freedom of speech is sacrosanct but that those who promote hate poison the public discourse and damage the country they claim to love. Speaking to interns and young minority staffers at the State Department, Tillerson pledged to diversify the overwhelmingly white ranks of the senior diplomatic corps. He also sought to calm fears he might eliminate programs designed to recruit minorities. He said an earlier suspension of the programs was only temporary.